Your wedding gown is priceless. This most precious garment deserves the safest and purest cleaning method available. EcoClean offers Premier Wedding Gown Cleaning and Preservation at an Austin location or via mail order with the click of a button. We are revolutionizing wedding dress cleaning and preservation. We guarantee you will be delighted with the service and results. Our eco-friendly process is the most effective way to remove soil and protect delicate fabrics. Choose from our wedding dress cleaning and preservation packages to return your entire trousseau to its original beauty and preserve the memory forever. Traditional wedding dress dry cleaning leaves a chemical residue that causes fine fabrics to yellow over time. Your gown deserves better. Wet cleaning is the best way to preserve wedding dresses. Your dress will stay as white as the day you wore it down the aisle. Time is not on your side when it comes to cleaning your dress. Stains like coffee, wine and chocolate become harder to remove over time. Perfume, sweat and sugary stains can attract pests and damage fabric over time. The best way to preserve your wedding dress is to have it cleaned immediately after the wedding! You don’t have to sacrifice health or the environment to get the best wedding dress cleaning and preservation. Recommended by the EPA, Wet Cleaning is safer for humans and the environment than all other cleaning methods and better for fine fabrics and delicate embellishments. Getting a wedding dress cleaned is not enough to protect from the damage caused by moisture and ultra violet rays. Our wedding dress preservation kit utilizes museum quality materials to make sure your gown lasts forever. I have had such a great experience with EcoClean! The staff was so professional and responded quickly to my questions and concerns about the best way to preserve my wedding dress. I am so glad I chose this company to clean and preserve such a cherished item. I will definitely recommend them to friends and family! I gave Ecoclean my wedding dress which had red wine stains and dirt from a barn wedding. They quickly responded to questions and soon my dress came back as beautiful as it was on my wedding day. Great job! EcoClean was so great with my wedding gown preservation from the very beginning! They quickly gave all the information needed for the wedding dress cleaning and preservation package as well! My dress came back as beautiful as it was on my wedding day! And in a beautiful preservation display box! It was perfect! Everything was wonderful and a great experience! High recommend this service for all brides! My dress came back as beautiful as it was on my wedding day! And in a beautiful preservation display box! It was perfect! Everything was wonderful and a great experience! High recommend this wedding gown preservation company for all brides! My first impression is that you guys did a great job! I really appreciated your prompt communication with me via email, and the dress looks great! Your wedding dress cleaning service was the BEST. Gown and Veil cleaned, pressed, and preserved. White Acid-free Preservation Box with or without Clear Viewing Window. Muslin Cotton box liner and Acid/Lignin-free tissue paper. We are happy to clean and preserve the following accessories: handbag, non-fur stole, shrug, shawl, bolero, handkerchief, belt, garter, hairpiece, undergarments, lingerie, dressing robe, shoes. Please feel free to ask about items not listed. These items will be cleaned and safely preserved along side your gown. Please review your package choice to determine the number of additional accessories you need to purchase. Age Reversal (removal of soil older than 12 months or yellowing caused by dry cleaning residue or improper storage. Please review your Preservation package choice to determine the number of additional Cleaning Charges you need to purchase. Dresses that have more than 6 skirt layers, weigh over 10 pounds, or are more than 4 feet in diameter at the floor require special preservation materials and additional shipping and handling fees. After receiving your dress, if we determine that the EXTRA SIZE CHARGE WAS not necessary, we will refund your card. The EcoClean wet cleaning and pressing teams in Austin have over 80 combined years of experience in garment care. Your wedding gown will be handled with extreme care and respect. We understand the value and importance of each dress and are excited to return them to their original beauty. Every gown is assessed to identify its unique fabrics, embellishments, construction, and cleaning needed. Dresses requiring wedding gown restoration are personally inspected by our plant manager. Debris is carefully removed and stains are treated by hand. Dresses are washed with specially designed protective mesh bags and washed alone in clean fresh water with gentle detergents and conditioners. Gowns are air dried to avoid damaging heat and abrasion. Each gown is meticulously steamed and pressed by hand back to its exact pre-wedding look. Pictures are taken to share with the bride to document the garment before preservation. The gown is beautifully arranged in the preservation box to minimize wrinkling and ensure a clean and safe environment for storage. Dresses are shipped in a special shipping box and tracked back to their happy Brides. 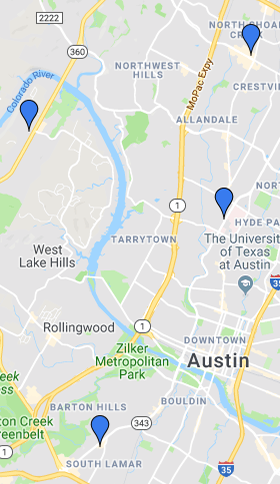 For brides local to Austin, the gowns are picked up and returned by our local delivery team. Wedding Dress Preservation is the process of cleaning, arranging and boxing a gown to prepare it for long-term storage and protect it from deterioration. All fabrics can be harmed by tensile stress (from hanging), moisture, UV Rays, pests, heat, chemical residue, and long-term exposure to foreign substances. Proper preservation starts with stain treatment and washing in a wet cleaning process. After a dress is thoroughly cleaned, it is hand pressed by our team in Austin and delicately arranged in a museum quality storage box. Wet cleaning is an essential part of the process as it eliminates the possibility of yellowing thru time because no petroleum solvents are used to clean the fabric. Wedding dress restoration typically refers to wedding dresses that require additional effort to return them to a pre-wedding condition. Wedding dresses that have excessive stains or soil or are older normally require wedding dress restoration instead of wedding dress preservation. The best way to preserve a wedding dress is to have it professionally cleaned by a wet cleaner. Preservation involves stain removal, cleaning, hand-pressing and careful placement in a wedding gown preservation box. Proper preservation requires untreated muslin and acid/lignan-free tissue, bust form, and box that support the garment to protect from permanent fold lines. The delicate fabrics and construction of wedding dresses make cleaning and preserving at home highly risky. A wedding dress should be stored in an acid free museum quality preservation box after it has been properly cleaned and pressed. Be sure to remove all stains and debris and choose a cleaning method that will leave no residue on the fabric. The storage box should be placed in an environment with no direct sunlight, moisture, or extreme temperatures. A wedding dress should be cleaned and preserved by an experienced high quality wet cleaner. Many local dry cleaners in Austin send their wedding dresses away to be cleaned by other companies. Wedding dress cleaning by mail is now a very popular option which allows the bride to deal directly with the company cleaning the dress. Wedding dress cleaning by mail also allows more brides access to having their dresses wet cleaned, which is the best method possible for wedding dress preservation. EcoClean is one of the largest wet cleaners in the United States. We have been wet cleaning wedding gowns for over 20 years and are regularly voted the best cleaner in Austin. Our wedding dress cleaning and preservation mail order service brings the advantages of wet cleaning wedding dresses to brides throughout the US. You can read what our happy customers are saying about us at the top of this page. Shoes are one of the many wedding accessories we are happy to clean and preserve along with your gown. It is important to properly remove the scuff marks and soil as soon as possible after the wedding. Choose the Package that includes the right number of accessories for you. A wedding is a complicated affair with complicated attire! Most often brides have more than just a dress to preserve forever. EcoClean’s Mail Order wedding Dress and Preservation Packages include options to clean and preserve as many accessories as you like so that the entire trousseau can be preserved and stored together as a keepsake. Heavy soil on the bottom six inches of a wedding gown is common these days. Don’t worry! EcoClean can remove dirt from wedding dress hems. Our wet cleaning process is the very best way to get your entire dress back to pre-wedding perfection… just see our before and after pictures!